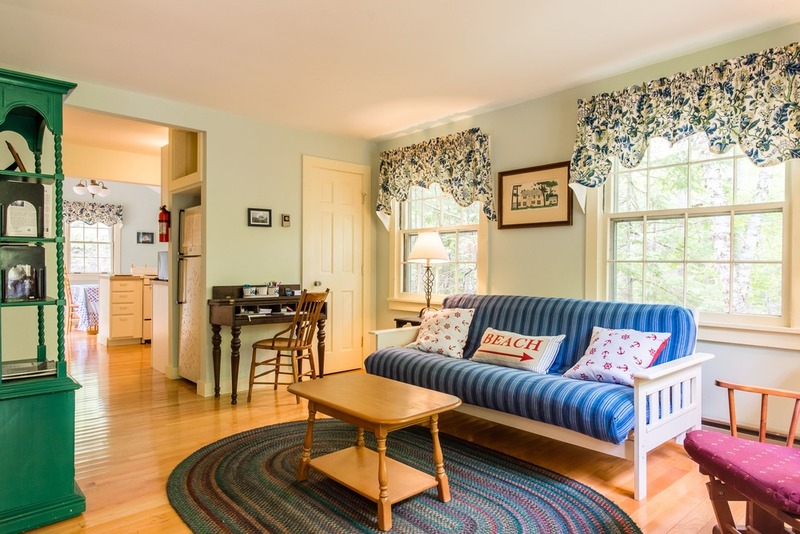 This charming coastal cottage is the guesthouse of a historic oceanfront estate. 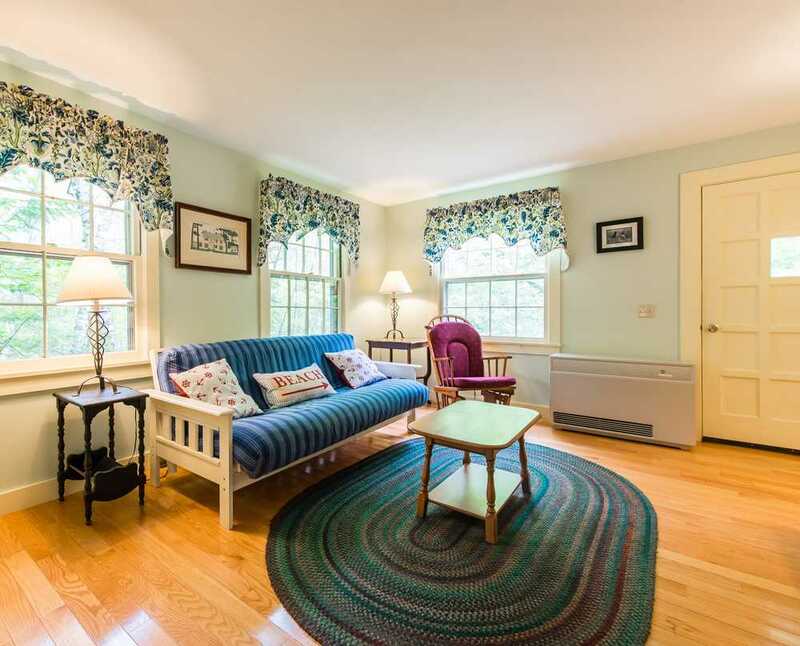 Originally built over 100 years ago, this house was rebuilt in 2008 allowing for modern comfort while still steeped in its historic location and feel. Spend your days on the lawn watching deer and wildlife, take a walk down to the stunning crescent shaped sand beach in Acadia National Park, or stroll into town for ice cream. 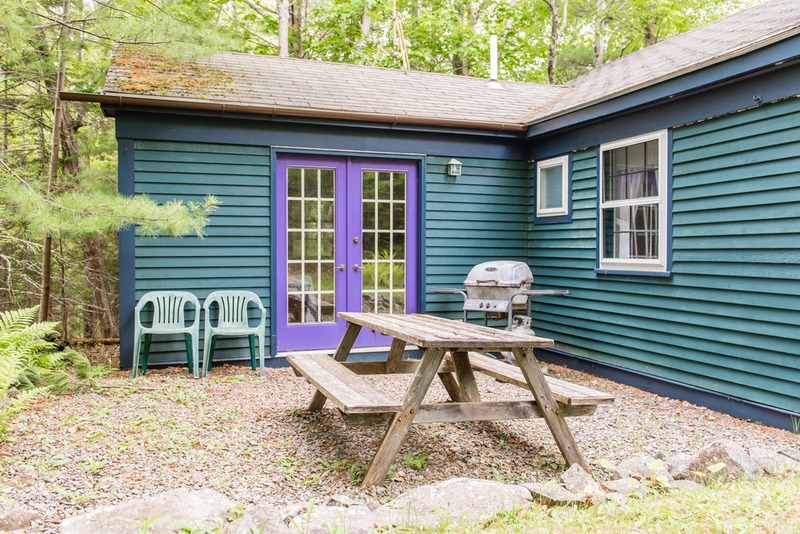 This cottage is ideal for couples, a small family or a romantic honeymoon retreat with quiet and convenience in this affordable summer cottage. Come enjoy the best of Bar Harbor. The sunny living room also includes a large flat screen TV. Living room with the front door. 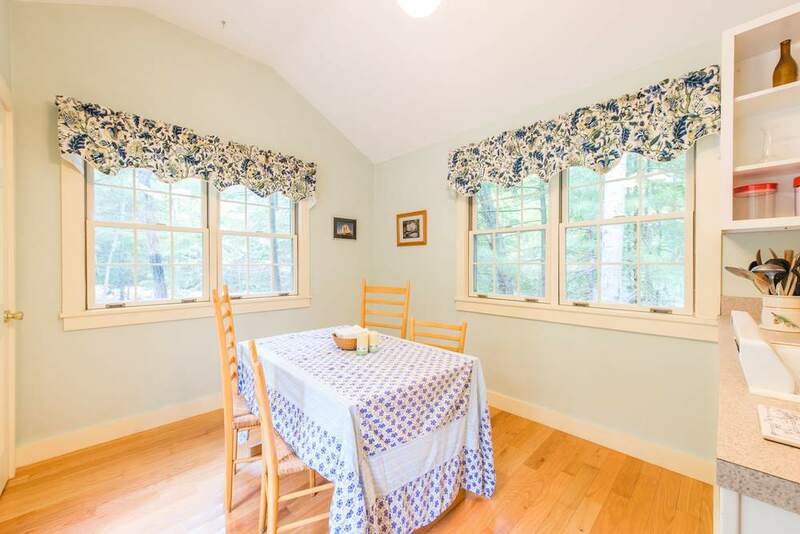 Dining area, french patio doors to left. 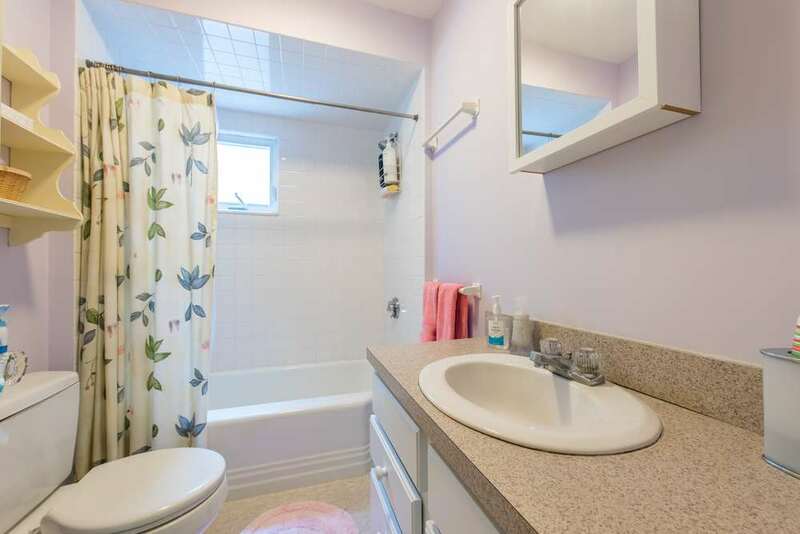 Large, well equipped kitchen with dining area and doors leading to an outdoor patio. Patio with gas grill and picnic table. An enchanting guest house on a historic oceanfront estate. Just minutes away from the island's largest farmers market. Compass Cove sand beach and calm waters are just a 5 minute walk from the house. Just minutes from the Guest House, you can rent kayak's, stand up paddle boards, and other gear to explore the area by sea. Bar Harbor's Village Green in the early morning mist. The island is surrounded by rustic lobster pounds with the freshest Maine lobster you can find. Winter: Call us for custom season rates! Opening the front door, you are greeted by a charming living room with futon couch, antique writing desk and entertainment center. The kitchen, with ample counter space and appliances, has a separate eating area bathed in sunlight from the French doors that lead to the outside patio, where there is a picnic table and gas grill. 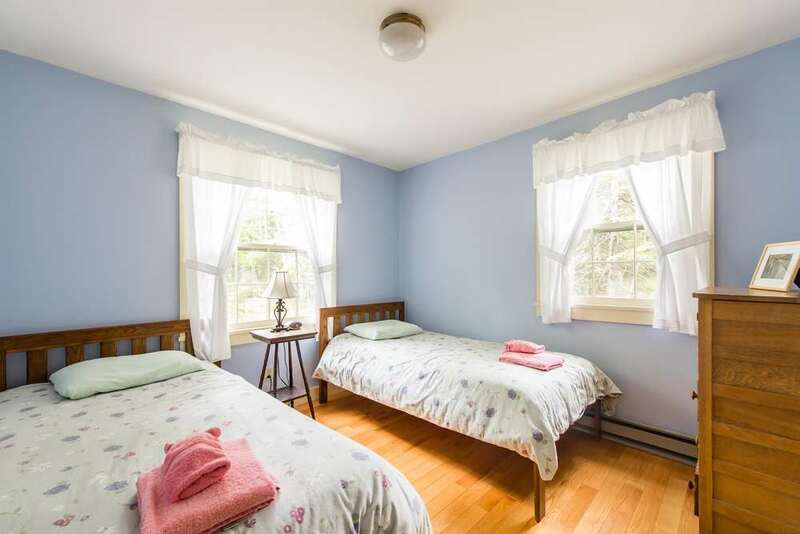 The master bedroom has a new double bed, and the second bedroom has two new twin beds. The inside of this house is new and fresh, yet retains glimpses of its history with selected antiques. The location of this house is perfect. 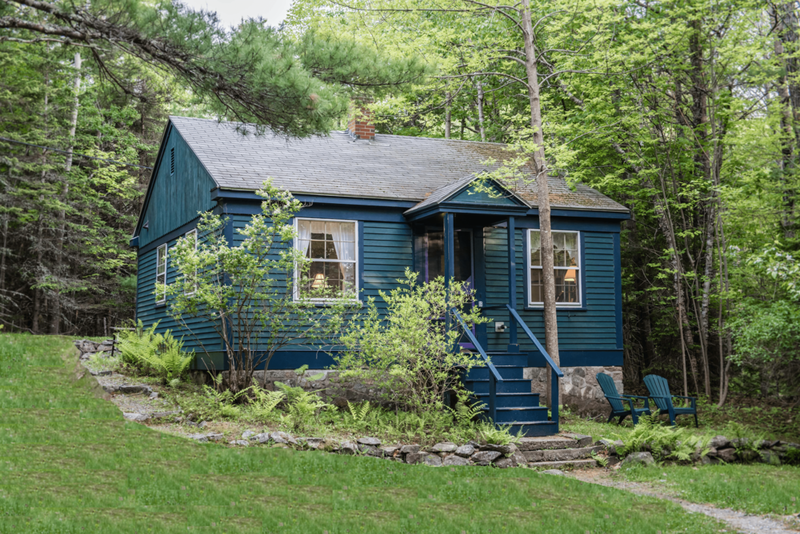 At the end of a small private road through Acadia National Park, the Guest House is only one mile from Bar Harbor where you can access a free shuttle bus that travels around greater Mount Desert Island and through Acadia National Park. The main auto entrance to Acadia National Park is only 2 miles away where you can drive or bike the famous Park Loop Road and all its attractions. One of the Park's newest trails allows one to literally walk from the house into the 130-mile network of hiking trails, bike to the 45 miles of Carriage Roads, or simply stroll into town for an ice cream cone. Compass Cove, a little known parcel of Acadia National Park, is just a 5-minute walk where there is a secluded and well-protected sand beach and tide pools. This area is a wonderful place to explore with kids or have a quiet sun-drenched beach all to yourself.